What do you think is the main reason for which you remained in the church, following Jesus up to now? Is there some area of your spiritual life in which you think you need some improvement? Is there a special prayer request you have that you'd like us to pray for now? The Holy Convocation is a program which leads to Revival and Reformation in preparation for Jesus’ second coming. At this very moment ____ pastors are visiting the church members of ____ churches in this region, conducting a Spiritual Inventory or stock-take. Taking stock helps us assess if everything is in order, and we will do the same with the Spiritual Inventory. During this stock-take, I will ask you some questions about your spiritual life, but you will not be answering me. You will have private communion with the Holy Spirit, and I will do the same. All of us are in need of this personal spiritual inventory, and we, visitors (or pastors), are no exception. Personal devotion as a habit (Mt 6:33): do you have developed the habit of seeking the Lord at the very first moment every morning by prayer, studying the Bible, the Sabbath School Quarterly, the Spirit of Prophecy? Family worship: do you meet with your family twice a day (morning and evening) for a very short family worship, to sing, study the Bible (or daily devotional) and to pray together? Family and other relationships: Do you pray and act for faithfulness, love, forgiveness in your relationships, beginning in your home? Health habits: are you planning to develop at least one new healthy habit this year? (Healthy habits are deeply connected with a healthy spiritual life). Sabbath keeping: (to explain about) preparation, limits, activities, family involvement, regular presence in the church (Lev. 23:3). Missionary involvement: do you have some time of the week dedicated specifically for some kind of missionary work (maybe a night)? 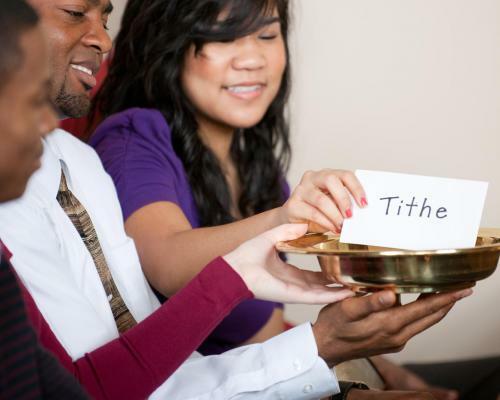 Tithes and (7) Offerings: (to explain about) the importance of regularity and of the percentage-based system for tithes and offerings; to explain the “Promise” concept.